Covenant Transportation Group reported a positive second quarter, recording greater revenues and income as it moved forward on its purchase of Landair Holdings. The Chattanooga, Tenn.-based carrier reported second-quarter net income of $10 million, or 54 cents a share, compared with $1.5 million, 8 cents per share, in the second quarter a year ago. Covenant had total revenues of $196.3 million, a rise of 19.5% from $164.3 million a year ago. 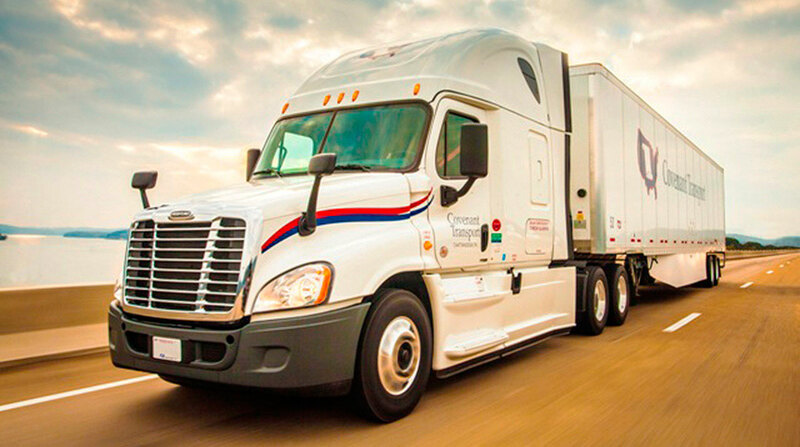 Covenant and its divisions provide dry van, expedited, dedicated and refrigerated freight hauling in addition to freight brokerage. Covenant Transportation Group ranks No. 47 on the Transport Topics Top 100 list of the largest for-hire carriers in North America. Average freight revenue per tractor per week rose to $4,287 from $3,754 a year ago. The carrier saw a drop in team-driven trucks to an average of 878 teams compared with 1,012 teams in the year-ago period. The 878 teams represent 33.7% of the total fleet. Freight revenues rose 17.2% to $170.6 million. The company’s non-asset based freight subsidiary Solutions generated revenue of $25.6 million, a 54% rise from $16.7 million in the quarter a year ago. The firm reported a $3.3 million drop in intermodal revenues as it discontinued the service last December. Covenant spent about $1.5 million on costs related to its July acquisition of Landair Holdings and wrote off about $300,000 on discontinued software considered redundant following the deal. Covenant paid $83 million in cash for Landair stock and assumed $15.5 million in debt. Landair is the parent of Landair Transport, a dedicated truckload carrier with a fleet of 430 trucks and 900 trailers, and Landair Logistics, a company with 12 distribution facilities and 1.8 million square feet of warehousing space. Covenant said the Landair deal has helped it to operate more trucks under dedicated contracts. About 46% of its truckload fleet, or 1,400 trucks, now operate under dedicated contracts compared with 25% prior to the deal.